We ordered more to give as gifts. We plan to keep them on hand for power outages, but also use the radio function on a regular basis. Easy to change the radio station and keep it via the button vs a dial. We ordered more to use for gifts. The light is very bright and the radio seems to be working fine. I haven't charged my phone on it yet so I'm not sure about that. I live in tornado alley and the lights go out quite often. I keep the flash light in my night stand so if is easy to grab. 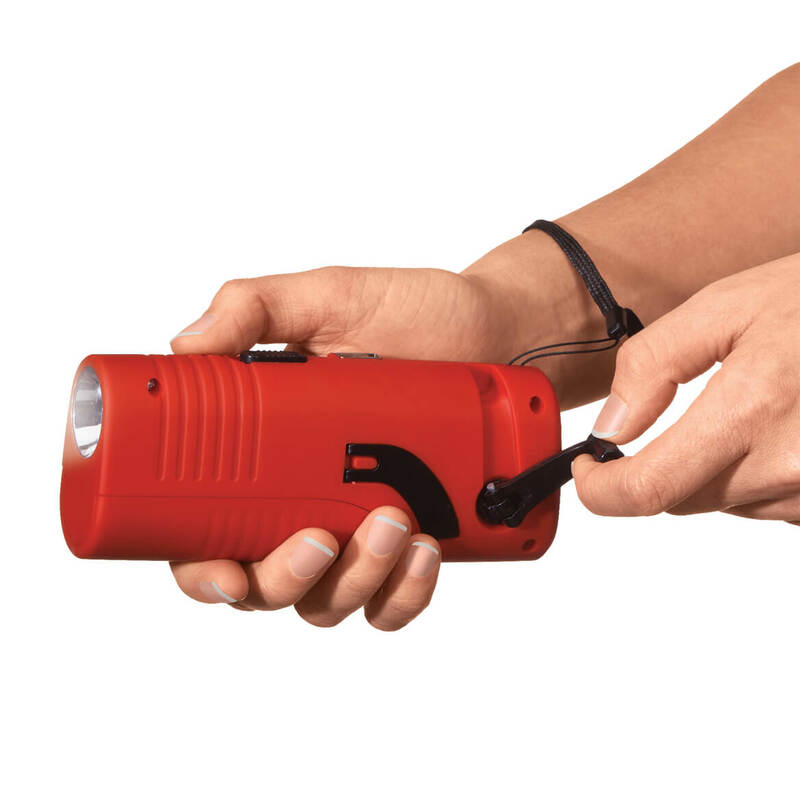 This is a handy thing to have in case of power outages or to bring along on camping trips. It takes a lot of cranking to generate power though. I like that it takes batteries. Very convienient that this is able to charge phones. I like the radio but I wish it would let you see the station numbers. All in all, a good product to have. Radio reception is low. cranking takes too long for a few minutes of charge. I'll give it away. Product came defected and batteries got to hot.nothing worked will be returning it. This product is not good for charging a cell phone. 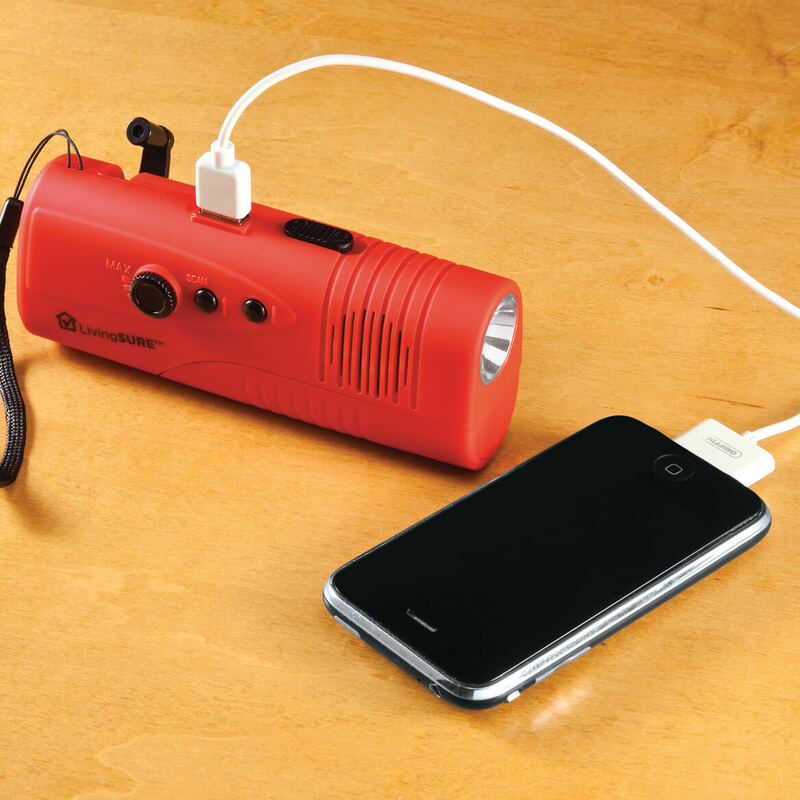 I got this to use in case of power outage and did not realize that I had to use the crank to power up my phone. I am returning this item. It does not pick up radio stations and does not charge cell phone but the light works. To give as gifts, in case of emergency. As the weather gets worse, I want to be sure that I protect my family the best ways possible. 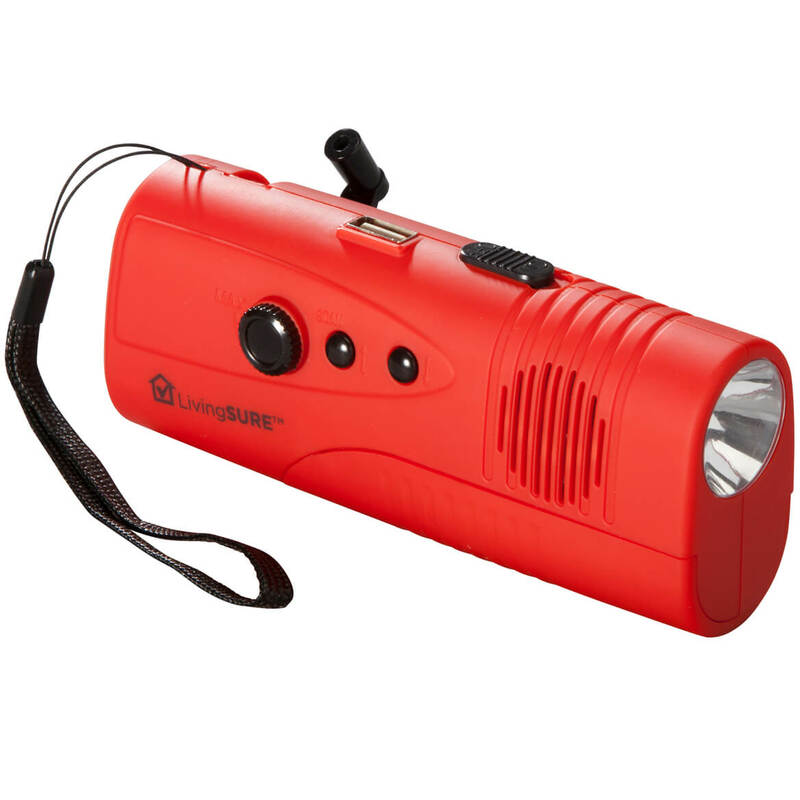 This flashlight has the ability to work with or without batteries and includes a radio and charger for cell phones and other tech gadgets. The price is amazing for all this product does! I can't wait to receive it. I thought this would be good to have for an emergency. Looks like something good to have around. My 7 year old son can use this when the electricity goes out to charge his phone and IPad. As a back-up, especially since it can be charged using the crank. 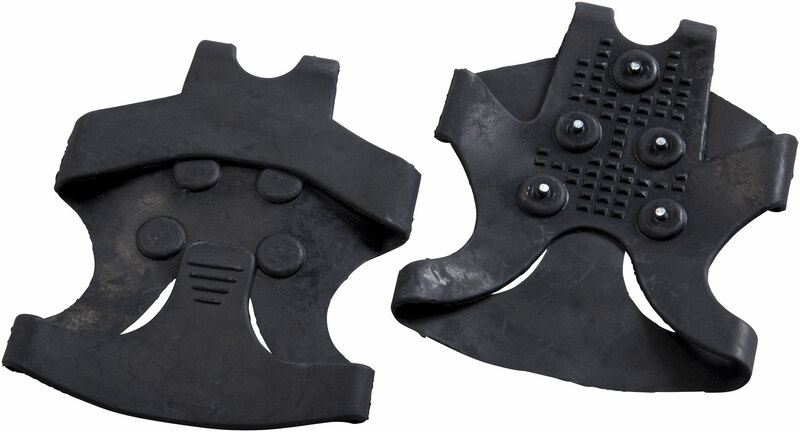 Small and useful for long car rides and camping. This is to go into the emergency kits in my vehicles. I have a friend who drives a long way back and forth to work, so this is good to have especially in the winter months. looks like something that may come in handy. We live in the North East, lots of storms and power outages. It can also charge your phone. 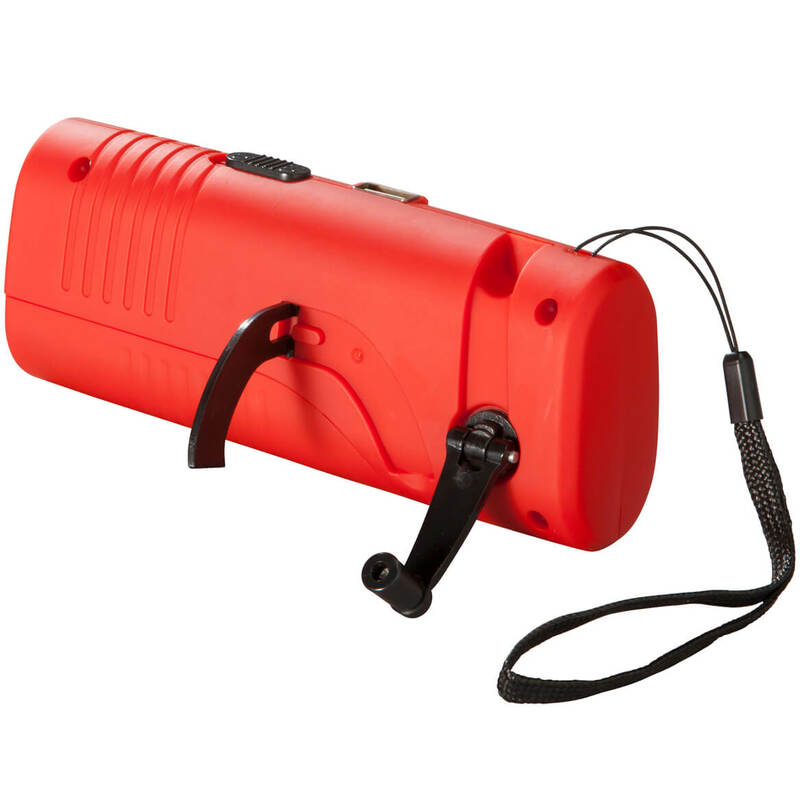 With winter coming I want to be prepared with a battery operated radio and the ability to charge my cell phone in the event we lose our electricity. We don't have a land line anymore and I worry about emergencies with a power outage and not being able to charge our cell phones, so I hope it works well for that. Living in a state with power outages, this could come in very handy. Great for gifts. To feel safer in emergencies. Good to have as a backup in case of a power blackout.